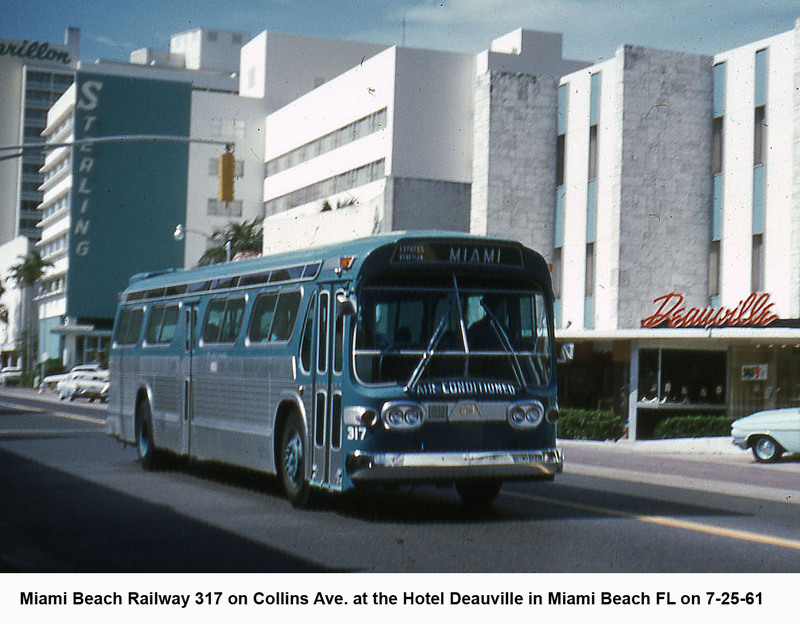 The 300 series GMs were delivered to Miami Beach Railway Company, sister company to Miami Transit Co. 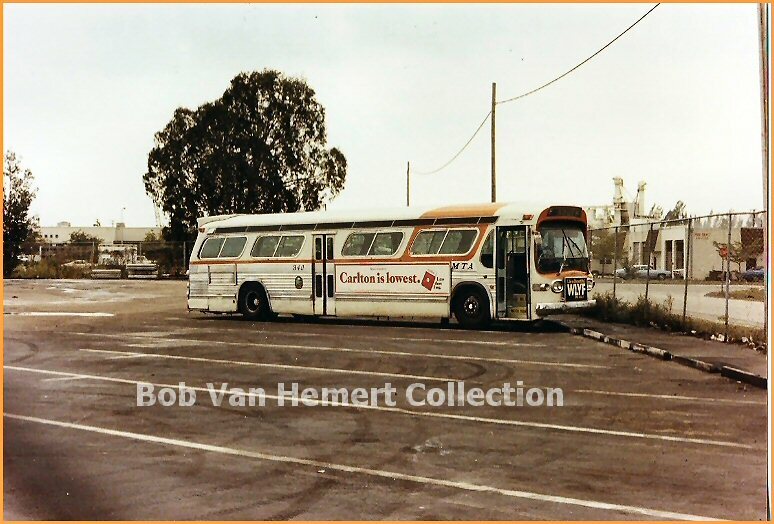 It was an order of 40 coaches numbered 301-340. 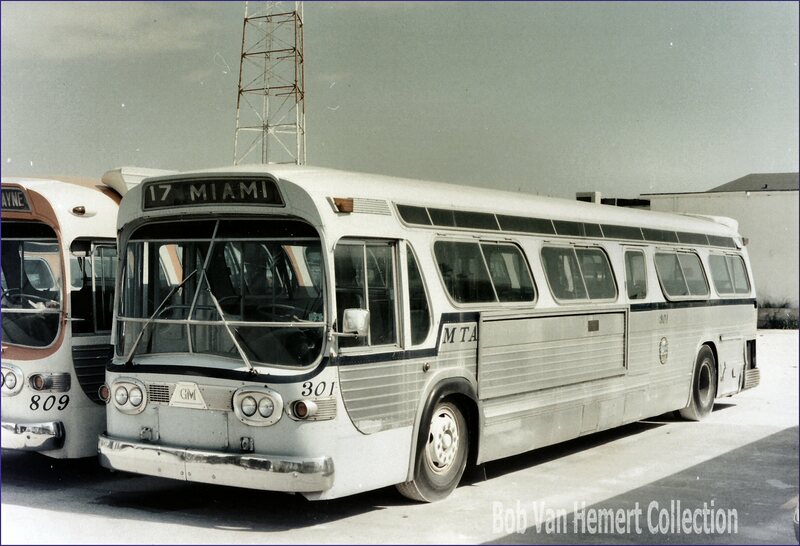 They were the first air conditioned transit buses in Dade County and the first GM "New Looks" also. The GM New Looks were nicknamed nationwide as the "fishbowls" because of their large windshield gave them fishbowl like appearance. 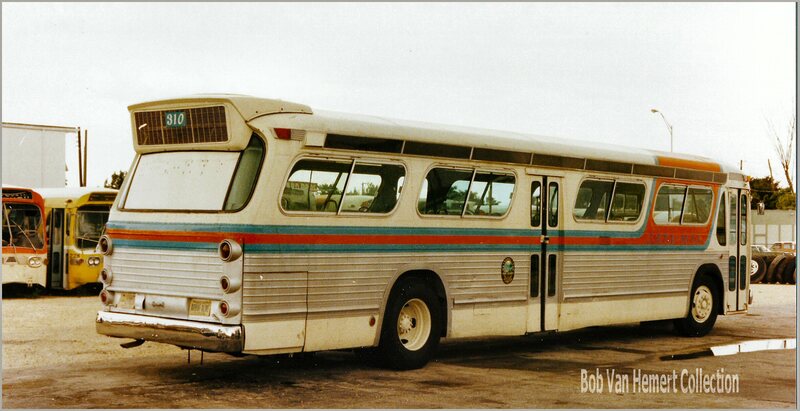 They were powered by the Detroit Diesel V6 6V71 and the Allison two speed automatic transmission. 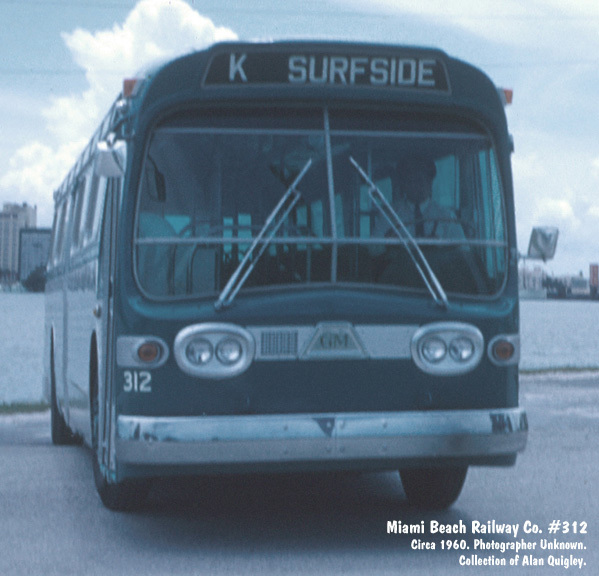 The last of the series, buses 308, 324, 336, and 340 were retired in 1978. Above we have 305 being stripped for parts at CETA yard.. 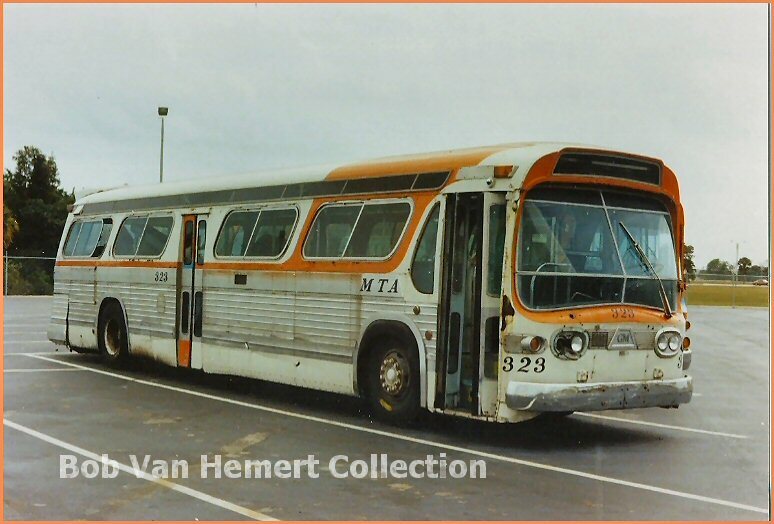 The 323 is one of 10 300s sold to CoTran in 1978 and is seen here sitting at the CoTran yard in March 1979. 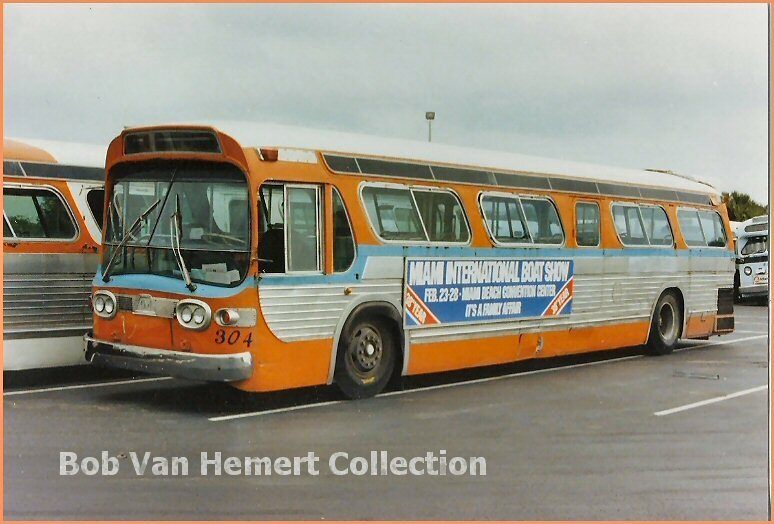 Below are the first and the last of the series, 301 and 340, The 300 series were the first air conditioned buses. 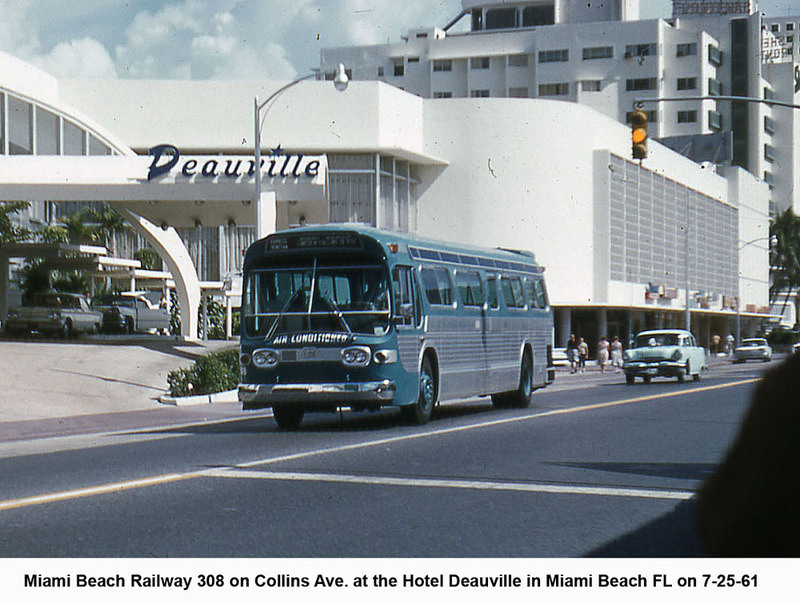 They were originally delivered to the Miami Beach Railway Company. 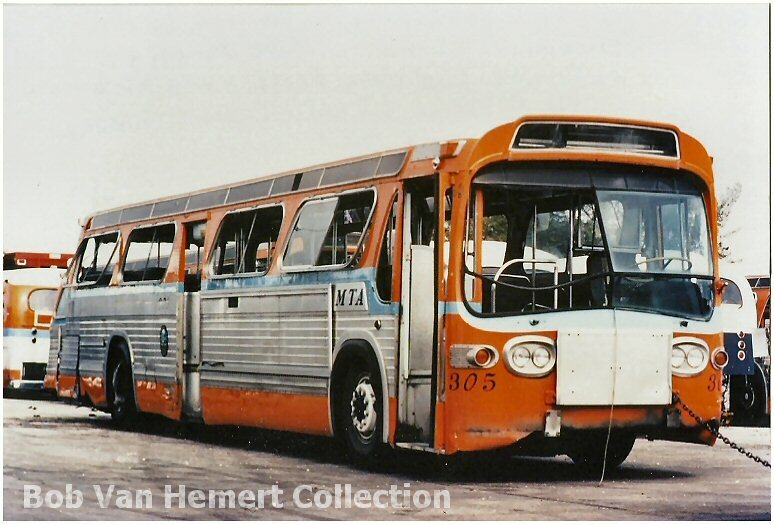 The 310 was used as a diesel mechanic training bus by CETA. 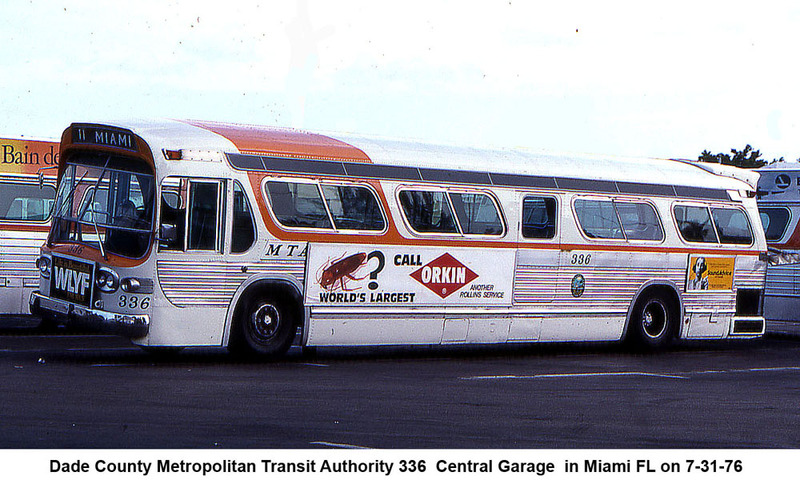 Bus is pictured at their yard that was located in the NE corner of NW 20th street and 27th avenue.